Address label: Mrs. Robert Arneson, North Shore Road, Oswego, Oregon. Description Mounted on cardboard that is worn on edges; faded and spotted. Same as 194d and 194a & b are copies. 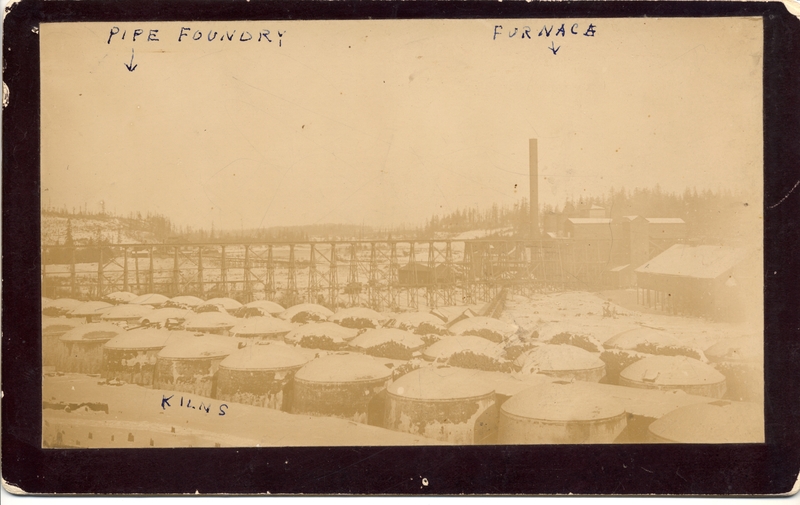 Written in blue ink on the front: Pipe Foundry; Furnace; Kilns. Transcription Address label: Mrs. Robert Arneson, North Shore Road, Oswego, Oregon.